Heating Maintenance for the home comprises a heating unit that is connected to a series of strategically-placed outlets that are typically found either along the ceiling or underneath the floor. The heating unit generates warm air that is then circulated throughout the ductwork. You can tweak the system zoning settings to heat all rooms or specific areas of the house. For this system to function correctly you need a clean return air grille . If this particular vent is dirty orclogged then the ducted installation will either run inefficiently or may not work at all. It is important to maintain a clean return air grille because this is where the ducted heating system draws fresh air. We recommend that you do not leave a bin or any source of foul odours near the return air grille because the smell will be picked up by the ducts and distributed throughout the zoned areas. How do you Monitor the Household Temperature? Modern ducted heating installations generally come with a wall-mounted control interface or a remote control. The average household will opt to install the thermostat near the lounge room or family area. 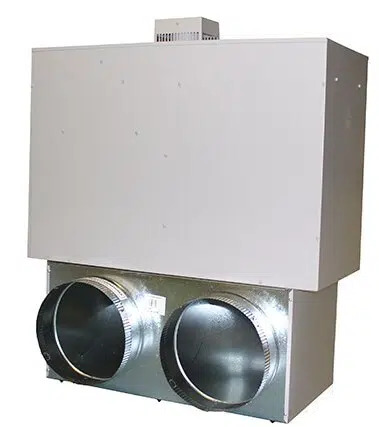 The burners in the heating unit will then turn off once the system reaches the pre-set temperature and the fan will slowly stop to ensure that all remaining heat inside the unit is used before the burners reactivate. To maintain peak system efficiency you should service your air conditioning equipment on a regular basis. In addition to organising installations we can also arrange onsite assessments to diagnose faults and repair systems. Our team at Advance Heating and Cooling can also procure AC fittings and other components to minimise the need to outsource parts externally for your convenience. To learn more about ductwork inspections call us today.